It’s easy to send a text message or email to family and friends, but receiving a custom greeting card in the mail with a personalized message is memorable. Let them how much they mean to you. From announcing a special event to sending a thank you note to a customer, they are great for any occasion. 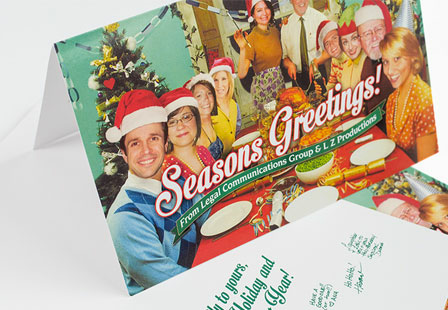 Our Glossy greeting cards are available in a variety of sizes with scoring options, slit options and blank envelopes. Glossy UV Coated Greeting Cards are coated on the outside only, allowing you to easily write with most ball point pens on the inside of the greeting card.